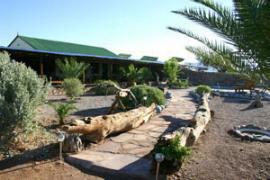 A Little Sossus Lodge is located at the junction of the C19 and D854 roads, 35 km south-east of Sesriem, Namib-Naukluft Park in Namibia. Little Sossus is surrounded by the Nubib, Tsaris and Naukluft Mountains with views of the distant dunes in the west. In this exquisite location, you will be accommodated in simple but stylish stone chalets, built from the locally occurring rock. 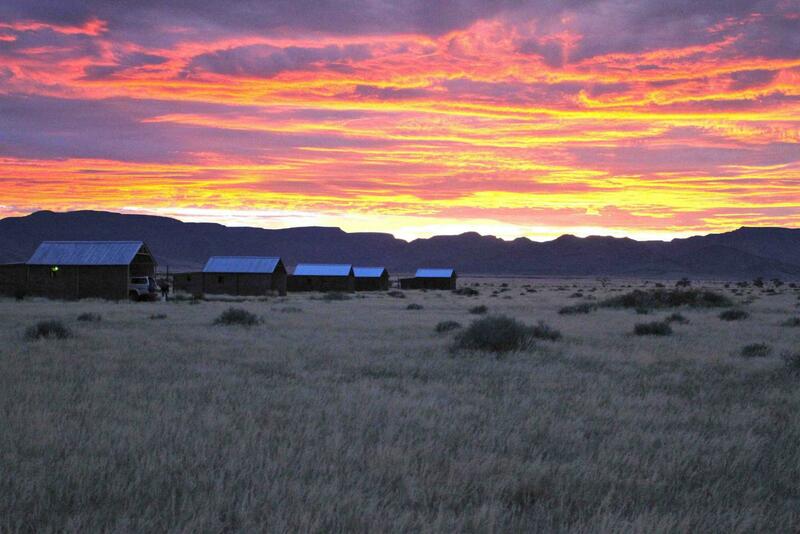 A Little Sossus Lodge will ensure you an unforgettable stay in the tranquil desert surroundings. Relax under the African sky and enjoy a drink of your choice and then delight your palate with our African cuisine while the sun is setting. The main area of the Little Sossus Lodge is an old farmhouse converted into a homely meeting place where you will experience a friendly and welcoming ambience. All areas are open plan inviting guests to wander around freely. On the well sheltered verandah you can enjoy your breakfast, lunch and dinner. The cozy lounge is decorated with ethnic African decor and comfortable leather sofas. Satellite TV is available as well as internet and fax/phone facilities. Guests enjoy relaxing and cooling off around the pool in front of the main building. A Little Sossus Lodge offers scrumptious African cuisine with fresh produce from our own gardens. Special dietary requirements are catered for. This wonderful camping site is only 8km from the lodge, giving you one of the most spectacular views over the valley. 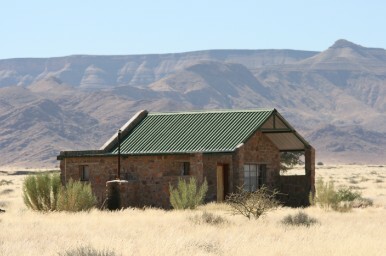 It is close to the highway C19 only 20 minute drive from Sesriem / Sossusvlei. 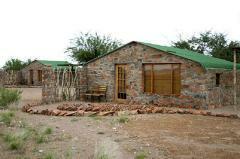 A Little Sossus Lodge has sixteen homely chalets, all built from local rock and blending in with the environment. The lights and fans in the chalets are powered by a bank of batteries, which are charged by wind and generator during the daytime. All amenities (soaps, shampoo, body lotion etc.) are environmental friendly. Twelve chalets are furnished with twin beds. Four chalets are family units comprising of four beds each. Activities on offer: Sundowner drives, Self-guided walks, tranquil relaxation. 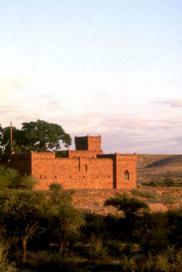 Activities in the area: Sossusvlei excursions, Ballooning, 4x4 trails and hikes in the Naukluft. Hosts can organise a guide for a day trip to Sossusvlei or you can do a self-guided trip. 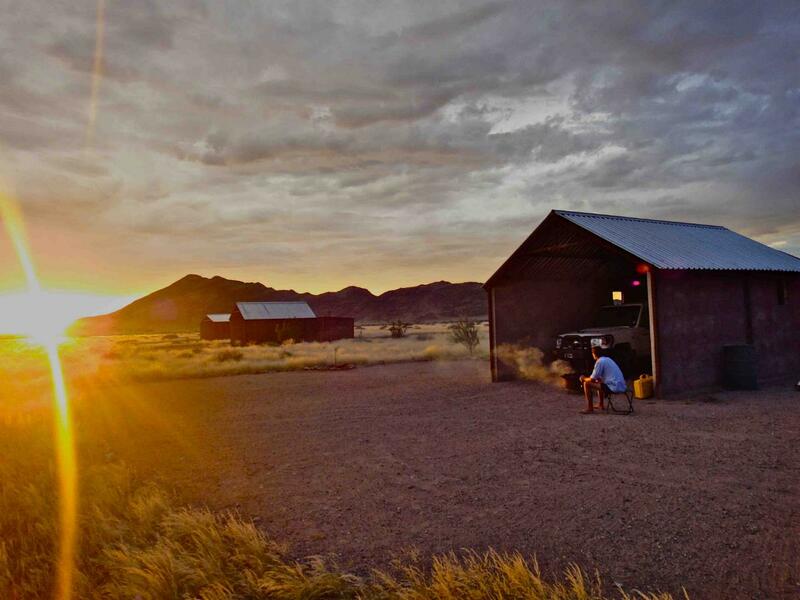 Hosts also offer a sundowner drive in the evenings which includes a leisurely nature drive, slowly winding up a side of a mountain. At the top of the mountain you can enjoy the spectacular sunset while having a drink of your choice and some appetizing snacks. After sunset it is time to venture home again and prepare for the evening meal. Children: Rate only applicable if sharing with parents, otherwise adult rate applies. There are no children rates, only sharing triple and family rooms.